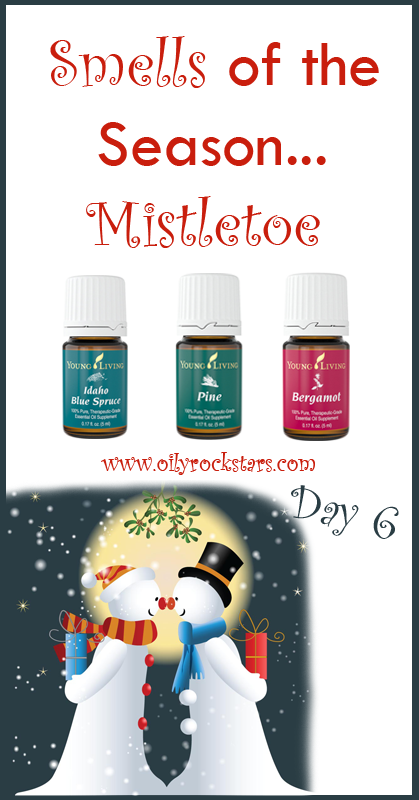 And so it continues... Day 6 of the "Smells of the Season" blog posts. I wanted to share just a couple more "smells" with you. Do you have a mistletoe hanging in your house for the holidays? And did you know it's said to be bad luck to refuse a kiss when caught standing under one? Ha! I have always wondered how the "kissing under the mistletoe" started. Kissing under sprigs of mistletoe is a well-known holiday tradition, but this little plant’s history as a symbolic herb dates back thousands of years. 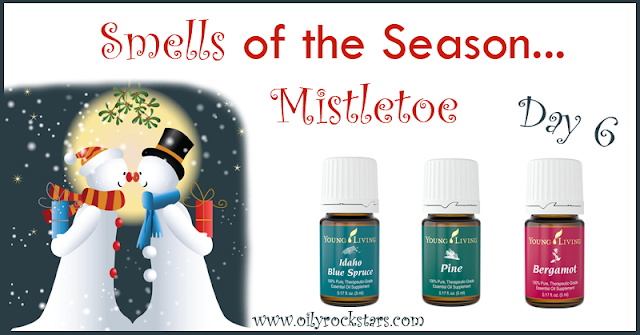 Many ancient cultures prized mistletoe for its healing properties. (Hmmm... interesting ;) The Greeks were known to use it as a cure for everything from menstrual cramps to spleen disorders, and the Roman naturalist Pliny the Elder noted it could be used as a balm against epilepsy, ulcers and poisons. The plant’s romantic overtones most likely started with the Celtic Druids of the 1st century A.D. Because mistletoe could blossom even during the frozen winter, the Druids came to view it as a sacred symbol of vivacity, and they administered it to humans and animals alike in the hope of restoring fertility. Mistletoe’s associations with fertility and vitality continued through the Middle Ages, and by the 18th century it had become widely incorporated into Christmas celebrations. Just how it made the jump from sacred herb to holiday decoration remains up for debate, but the kissing tradition appears to have first caught on among servants in England before spreading to the middle classes. As part of the early custom, men were allowed to steal a kiss from any woman caught standing under the mistletoe, and refusing was viewed as bad luck. Yet another tradition instructed the merrymakers to pluck a single berry from the mistletoe with each kiss, and to stop smooching once they were all gone. Whether you have one in your home through the holidays or not, they do smell wonderful. I had this one "smelling" up my home over the weekend. Enjoy! Looking for ways to fill your home with this scent? Go HERE and find non-toxic ideas to have your home smelling wonderful this season. Join my Oily Rockstars Facebook Group to connect with others and share tips and recipes for DIY beauty, cleaning and more.